The second of Ivone Gebara's lectures focused on theology and gender. Ivone reiterated her distrust of an absolute, all powerful God. We have understood God to have the power to punish or save us, to love or reject us. We live under the gaze of this absolute being, always being judged. Ivone asked us to risk seeing God differently: God with us. God who is our relationship between and within ourselves. God is always more than we can imagine, yet that does not mean God is set against us. Alongside other feminist theologians, Ivone criticized those understandings of God that suggest Jesus death was a necessary sacrifice to placate an jealous, wrath-filled God. She urged us to resist such 'necrophile beliefs' and the cult of sacrifice. 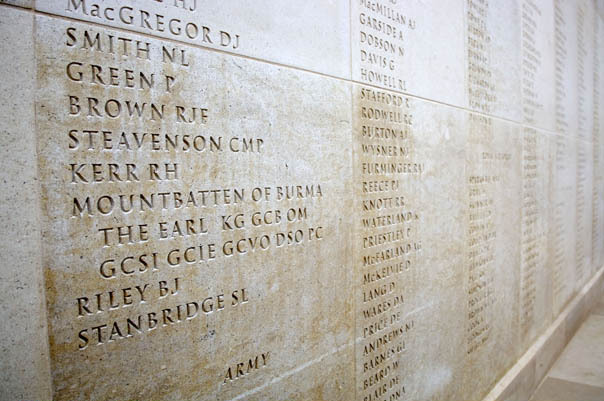 The names of 16,000 members of the armed forces are carved into the memorial. There is room for another 15,000 to be added. Tell me, how much of a society inthralled with sacrifice have we become, that we can so easily accept that the death and despair of war will continue at the same, or greater, pace as it is now?